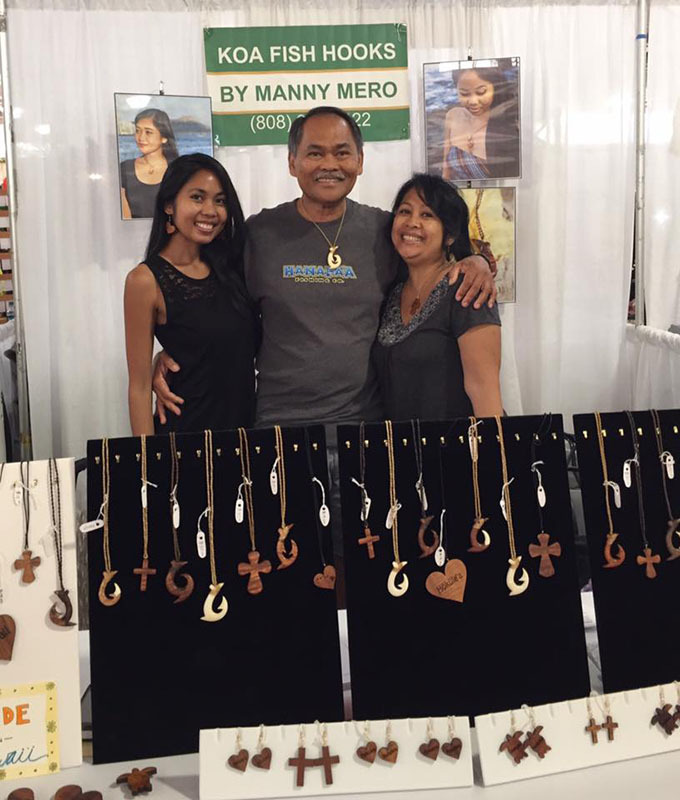 Originally from Oahu, Manny moved to the Big Island where he discovered his true passion, woodworking. 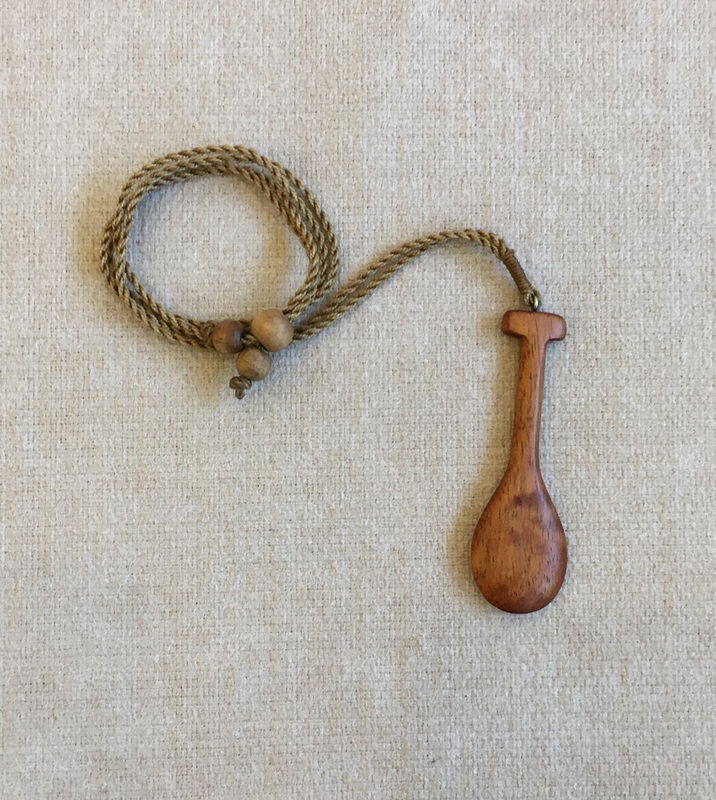 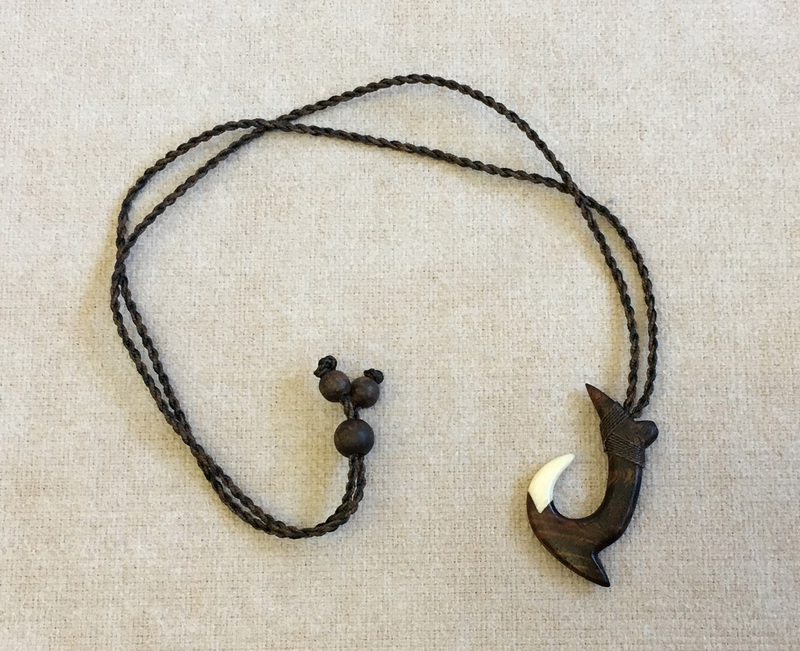 Since then he has created many beautiful wood pieces and for the past five years, he has been concentrating on making fine koa fish hook necklaces. 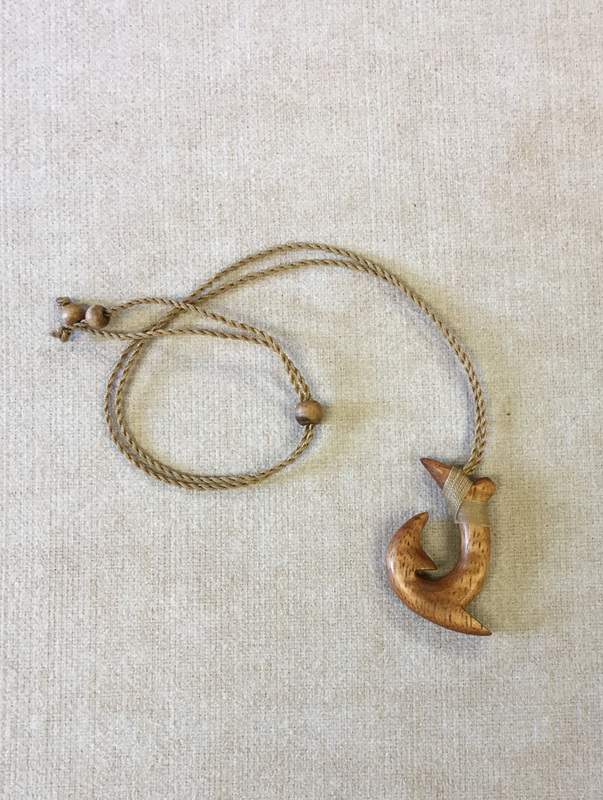 Although his specialty is with fish hooks, he also makes a variety of other item including paddle necklaces, honu necklaces, crosses, petroglyphs, and canoe paddle holders.